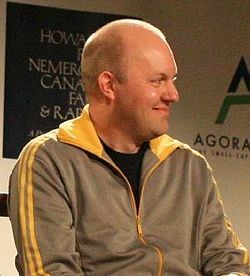 Netscape co-founder Marc Andreessen and former Opsware exec Ben Horowitz are hoping to raise around $250 million for their debut venture capital fund, peHUB has learned. If you just heard a choking sound, it’s probably coming from your own throat (or that of your closest LP). What I mean is that $250 million is an extraordinary amount of capital for a first-time, early-stage fund. Andreessen said in February that initial investments would average just $500,000 (a fivefold increase from the $100k that he and Horowitz currently invest out of their own pockets). That would work out to more than 100 portfolio companies, even if you assume that the fund would quadruple-down on every investment (which it won’t). Andreessen and Horowitz plan to thin the bloated portfolio size by complimenting their seed deals with a handful of $5 million-ish Series A plays, but I’d think the firm would really need to average $10 million per company to make things manageable. It’s also worth noting that neither Andreessen nor Horowitz plan to take many board seats at the time of initial investment on the seed deals. If you’re an entrepreneur with options, don’t you want Andreessen Horowitz money because one of them would join your board? Or is it good enough to get the associated market cred and Rolodex access, and hope they join up after a follow-on investment? LP sources are mixed on the pair’s chances of hitting the $250 million mark. One endowment manager I spoke with says he expects Andreessen and Horowitz to scale back their target a bit, but another says that they have irresistible rock star appeal (plus, friends like Accel Partners making LP intros). Fund-of-funds manager Horsley Bridge, for example, is believed to have made a cornerstone commitment. I’m certainly not going to bet against Andreessen or Horowitz. That would be like betting on the perpetual search dominance of WebCrawler. Or Netscape. But in a market where LPs are fastidiously avoiding new VC fund commitments, I’m a bit amazed that LPs would consider placing a $250 million bet on a first-time fund with this type of profile. It just seems a bit too rich for most LP blood. A spokeswoman for Andreessen and Horowitz declined to comment, citing SEC restrictions (natch).